Ahead of this week’s 10th Annual Healthcare Unbound Conference & Exhibition, highly respected Shahid Shah took a moment to share a preview of his two Healthcare Unbound talks with us. To answer the first questions, Shahid says, “it’s a multi-trillion dollar industry, so don’t focus on disruption, focus on having an impact.” No one company is going to be able to disrupt an industry. Regulation might, but remember a 1% change is still worth potentially billions of dollars. 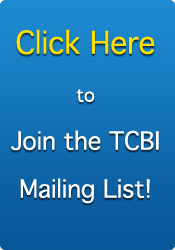 Ask yourself how your technology might help shift the flow of dollars, even on a small scale. Looking forward to more on this topic, one that’s been highlighted multiple times recently by David Shayvitz in Forbes. What’s next for wireless health? For Shahid’s second talk, he asks, “What’s next for wireless health.” He says it’s really more about the software than the context. It’s the analytics. What wireless devices can do depends on what they can measure and how. We asked Shahid, “Who is making the biggest moves toward an integrated data future?” Shaid mentions multiple consumer health products like Fit bit. WellDoc and chronic care settings are really embracing it, but not so much the device incumbents. We went on to ask, “What’s going to drive this integrated future?” Shahid says that with new payment models, more and more data will start to be collected in the consumer’s home. This data will be integrated before the central clinical devices under new payment incentives. When payment models change and allow for care outside the hospital will be paid for, these types of integrations might well lead the established players and EHRs. What’s in the way for medical device integration and medical devices moving into a networked health data? Not necessarily the answers you might expect. We have all the basic building blocks, but we need to remove some of these barriers. Find out more at Healthcare Unbound, this Thursday and Friday, July 11th and 12th near Denver, Colorado. 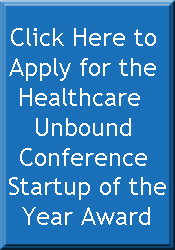 © 2013 Tenth Annual Healthcare Unbound Conference & Exhibition. All rights reserved.